To train port and terminal mooring men in correct mooring techniques and advise them of dangers involved in mooring operations. 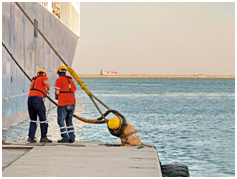 Mooring is a high risk job so it is in employer's interest to let the crew be trained in proper techniques of picking up, transferring to bollard and letting go mooring lines. Port and terminal managers and mooring crew. Tugboat crew. Access and egress to working areas. Amount of light and design of light housing. Slips, trips and falls, especially at bollards. Other vehicle/crane movements in area. Injury due to lifting of heavy mooring lines. Mechanical pulling of mooring lines. Action when the eye of the line has been placed on the bollard. Precaution when accepting a mooring line from ship. What if excessive load comes when handling the line. Capsizing of mooring boat due to excessive load. Correct way of holding mooring line in boat. Placing multiple lines on the same bollard. 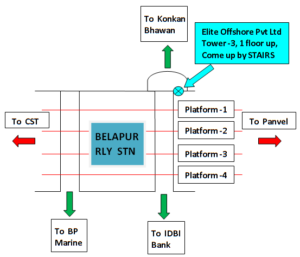 Understanding mooring layout of the ship. Limitation of mooring arrangement of the ship.